International Tiger Day, celebrated every year on 29th of July, targets to bring into the attention that the big cats are on the brink of extinction and it is a duty of all of us to get our act together and conserve this epitome of wilderness from disappearance. Several factors like climate change, habitat loss, extensive poaching and hunting, caused a great fall in tiger population. 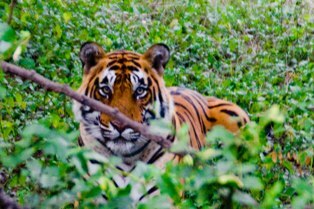 Considering alarming data regarding tiger population, it is important for us to put our sheer efforts in order to save tigers; or else we will end up with a world where there will be only the stories of beautiful big cats meandering proudly in the woods, roaring like a beast, and hunting its prey like a doyen. What a shame it will be! Jim Corbett holds the reputation of being a first national park in India. Corbett is an ideal home to a wide variety of wildlife species. Earlier it was a wildlife delight but now animals like tiger elephants, bears, and crocodile are hard to sight. The park is greatly revered by local people for killing animals that preyed on people. Corbett eventually shot more wildlife with his camera than with his gun and became a prominent voice for conservation. Demand for animal parts is the biggest threat to the survival of wildlife. Poachers are killing these animals to get their bones, teeth, claws and skin so that they can be sold for thousands of dollars in the illegal wildlife market. Tigers in Asia are acknowledged as the big cats, the royal predators, and at the same time they are an endangered species. Considering the same, the Asian countries have put their best foot forward for preserving the big cats. 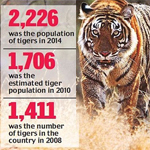 India, Russia and China have made significant efforts for the protection of the tigers. It was in year 1973 that the Project Tiger was kicked off in India. Initially it covered nine reserves and later it extended its approach. 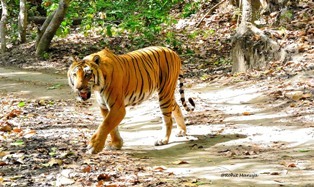 Owing to its success, the tiger count raised from 1200 in 1973 to 3500 in 1995. Though in the early 20’s, the number went down to 1411, India fought back and reached to the count of 1706. Tigers are generally introvert creatures, except for getting comfy with the young ones. They have a penchant to hunt by themselves. Moreover, many of the tigers have endured to a great extent because of souls for their grandiose charm and exquisiteness. If they get completely wiped out, the entire ecological system will fall apart. It is the largest part of the cat genres in the globe. 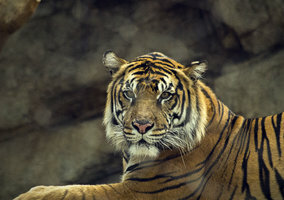 At a time, there were nine varieties of tiger such as Indochinese tiger, the Bengal tiger, the Siberian tiger, the Malayan tiger, the Balinese tiger, the south china tiger, the Javan tiger and the Persian tiger.